Everyone loves to watch movies. Some watch everyday while some only watch once a year, but that doesn’t take away the fact that watching movies is one of the favorite hobbies and past times for both adults and children. Thanks to technology, movies can now be watched, streamed, and downloaded at any time and any place. Gone are the days that when you miss a movie in the cinema, you have to wait for around six months to a year for it to premiere on HBO, Cinemax, and other movie television channels. In relation to that, cinemas still pack a full house despite the rise of technology. Nothing compares to watching a live feature film in a 40- to 50-foot screen on IMAX than watching the same film on a 15-inch laptop screen. Designs originating from movies have been popular for a long time. 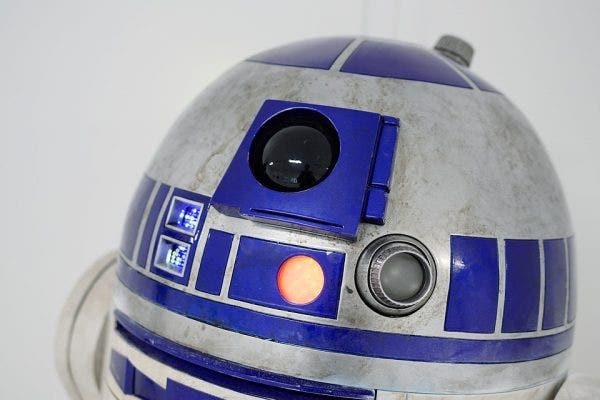 For example, companies have used themes from popular movie franchises like Star Wars, Harry Potter, Indiana Jones, and The Avengers, to name a few in their marketing campaigns. Additionally, educational, financial, and medical institutions constantly borrow themes (logos, slogans, movie characters, etc.) when hosting events and other activities. Designs from movie tickets on the other hand are also starting to gain some steam. A number of designs have already been created based off them. 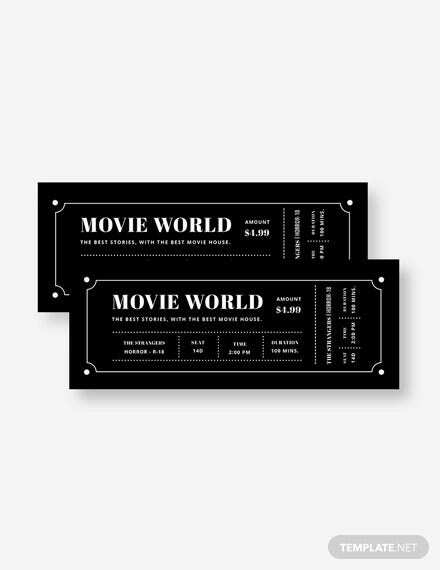 You can now see movie ticket inspired wedding invitations, movie ticket newsletters, movie ticket menus, and even movie ticket ceramic cups. 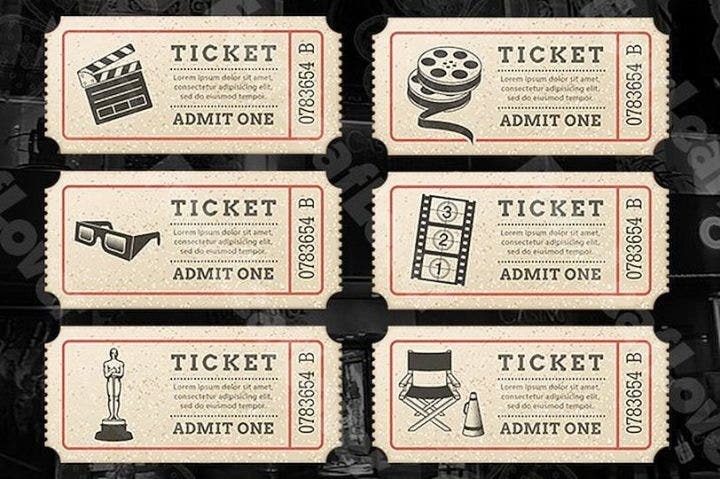 Here are some movie ticket-inspired templates which are handy for any occasion. 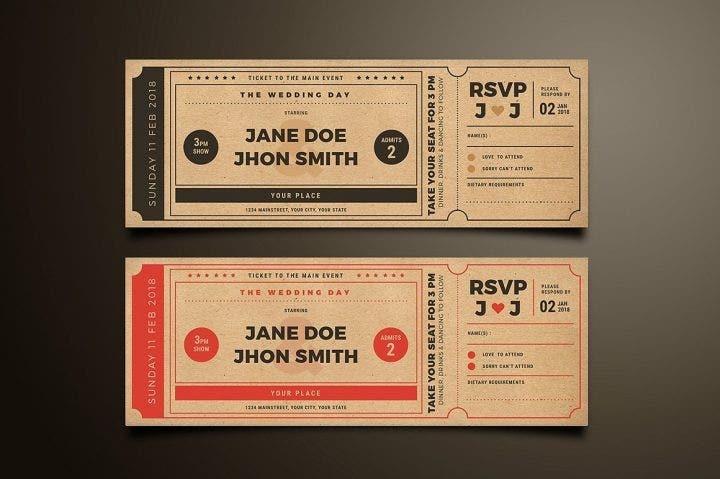 Watch a real-life romantic movie with this wedding invitation movie ticket template. Seeing two people get married is like watching a romantic movie where the most basic yet touching romantic film premise occurs (boy meets girl, they fall in love, and end up together). What happens in movies also happens to couples in real life, too. Unrealistic scenarios that occur in romantic movies (i.e. a person changing the personality of his partner for love, the perfect soulmate is someone who is very attractive and rich, best friends ending up being together, etc.) tends to also happen in reality, but it really doesn’t matter if two people truly love and care for each other. 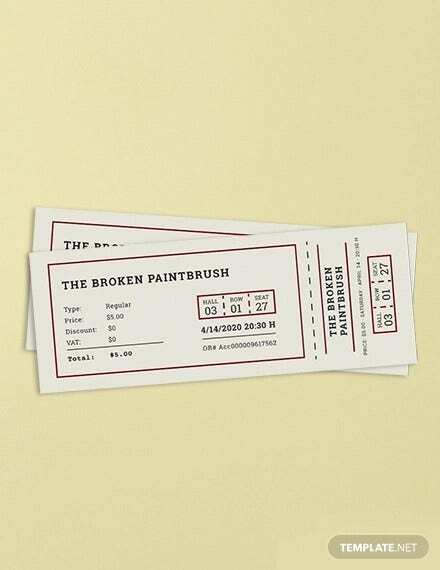 This movie ticket template has two available colors, red and white, but both have the same color background. 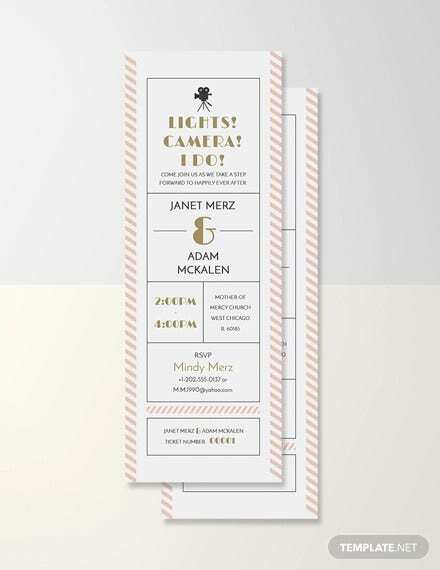 Similar to real movie tickets, there are no photos in this template and only show the names of the couple and the wedding details. This template features a 5.5×2 (+bleed) size, PSD and AI file, CMYK color model, 300 dpi, multiple organized layers, and it costs only $7. 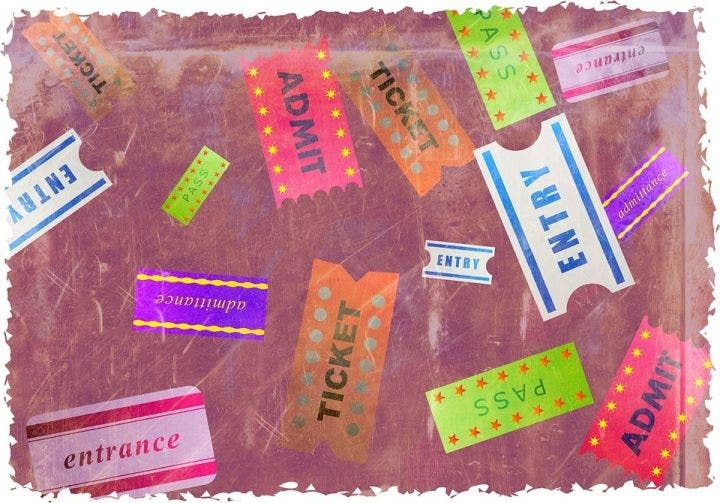 Have the real thing and use these cinema themes ticket templates for your various school, home, or office movie shows. This set costs $10 and contains a number of designs: clapboard, film roll, 3D glasses, coke and fries, 3 2 1 film role, Academy Awards statue, director’s camera, and director’s chair. This template also contains two different styles, simple and grunge, and is available in five formats: vector Adobe Illustrator and raster Photoshop, JPG, EPS, and PNG. The text is only editable in EPS, Illustrator, and Photoshop. The fonts are not available in the package but can be downloaded. 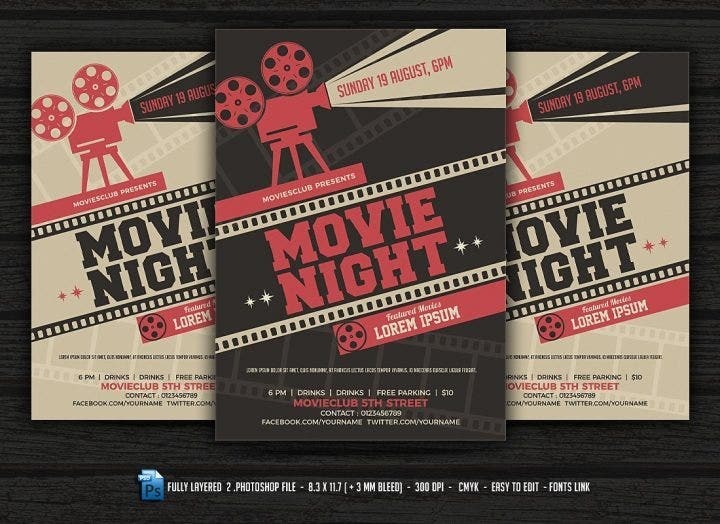 This classic cinema ticket template has a striking design that will attract any film goer. Viewing parties are always a fun event especially in the company of family or friends. This movie ticket template is similar to the cinema ticket template. This attractive design shows a director’s camera projecting light with film rolls surrounding the other spaces of the template. Available in two colors (grey background and black background) and only costing $9, this template contains fully layered Photoshop layered files (PSD), a 8.3×11.7 (+3mm” bleed) size, CMYK color model, 300 dpi, print ready, and is also fully editable. Fonts are available in the link attached to the main file. The templates can be only edited with Photoshop 2.0 or higher. This template provides a better cinematic look as the director’s camera is not only shown, but also the image of the camera’s projection. Aside from using it for a small event, this template can also be used by cinemas to market an upcoming film. 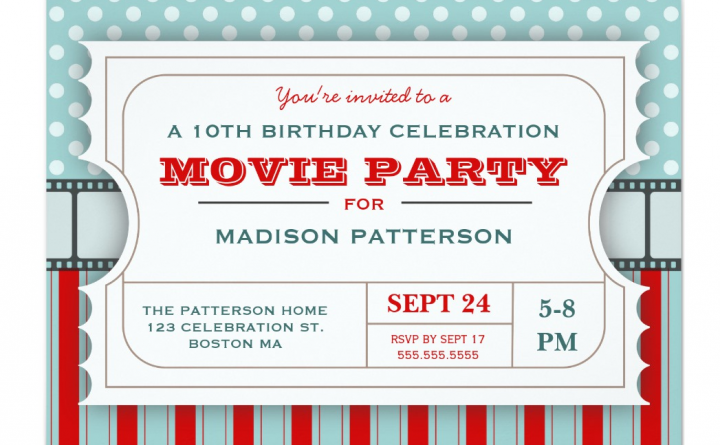 Aside from weddings, birthday celebrations can also use movie ticket designs to full effect. 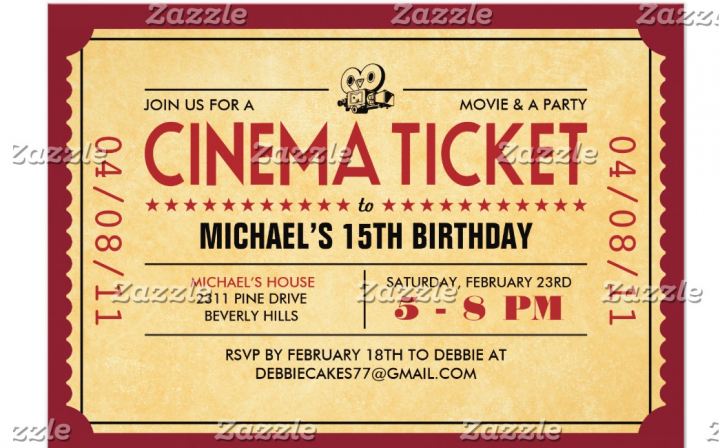 The birthday celebration with a “movie night” theme completes the full movie experience with a vintage movie ticket template. This ticket will certainly become a hit for the guests, children, and adults alike. 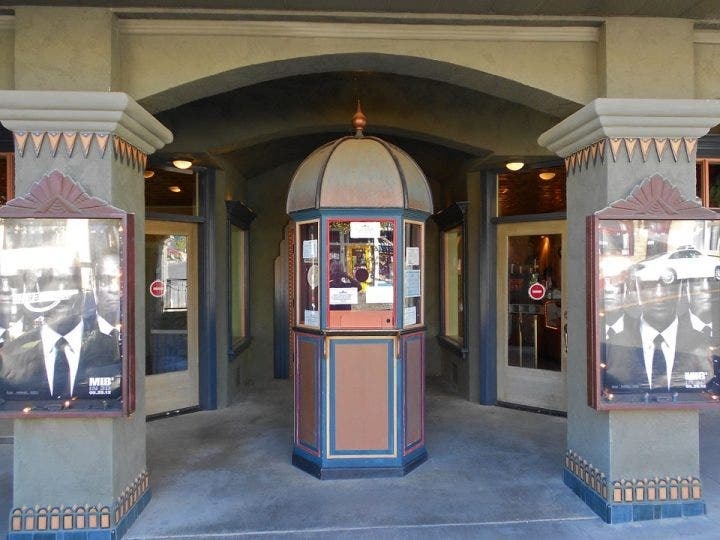 The design contains popcorn, star, and film roll images with the text highlighted in red. The template features a 5.25 x 2.25 inch size with bleeds, is print ready, has a CMYK color model, 300 dpi, and has easy editable text and colors. This template costs only $6 and has free fonts included. This is another birthday movie ticket template. Compared to the previous template, this one contains more colors and designs. Light blue polka dots and red stripes separated by a film roll are the central attraction of this template. The birthday party details are all listed on a movie ticket stub. This template, costing only $2.16, has a 5″ x 7″ (portrait) or 7″ x 5″ (landscape) size together with high quality, full-color, and full-bleed printing on both sides. This template has 12 unique paper types and colors and you can click on the “Customize it!” button for eight additional sizes and six shape styles. This birthday movie ticket template has a retro design and resembles a ticket would have been handed out between the 1940s and 1950s. The birthday details are written in red and black colors and placed over a dark red background. This template, costing only $2.27, also has a 5″ x 7″ (portrait) or 7″ x 5″ (landscape) size with high quality, full-color, and full-bleed printing on both sides. This template has 12 unique paper types and colors and you can click on the “Customize it!” button for eight additional sizes and six shape styles. 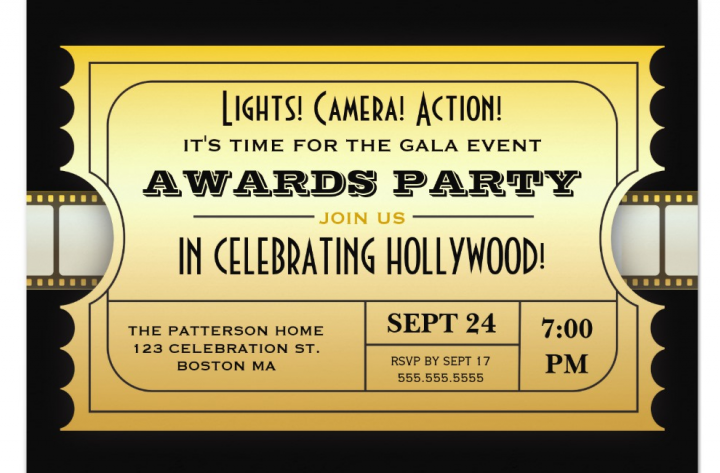 This golden movie ticket template is reminiscent of a Hollywood awards event where statues handed out to the award winners are made of pure gold. 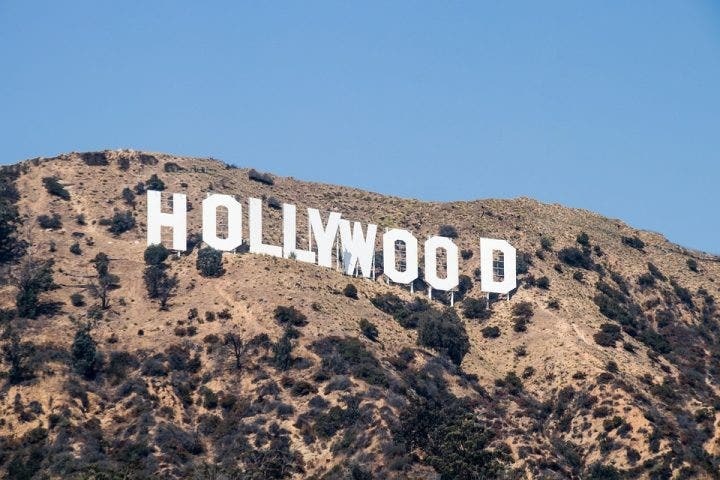 This elegant template is the perfect representation of Hollywood with all its glam and glitter. If you are planning to host a movie night in your own backyard use this template and showcase some recent award-winning movies like Spotlight, Mad Max Fury Road, and 12 Years a Slave. Hollywood fame. Since the design of the templates look like movie tickets, why not use more Hollywood-inspired themes in making designs? As seen in one of the templates above, an award event-inspired design looks beautiful and can be used for other designs as well. Some other ideas include using popular movies as themes in making movie ticket templates. For example, use inspiration from the this year’s comic book sci-fi hit Guardians of the Galaxy and add the faces of some characters like Star Lord or Groot in the ticket design. The golden circle. 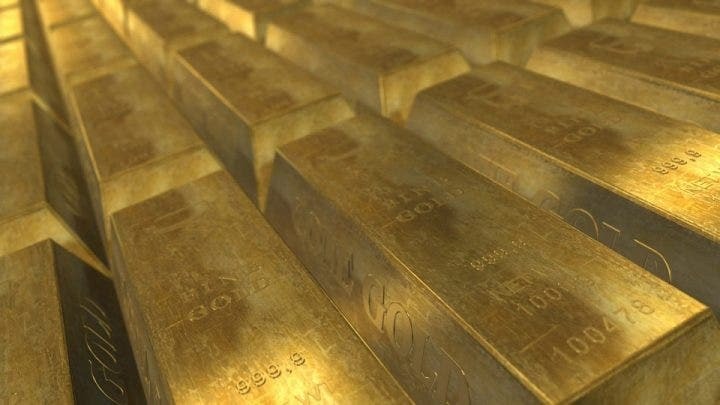 If there’s one color that is associated with movies or cinema, it would be gold. Red can make a claim since curtains in theaters are colored red. The black-and-white combo can also be considered since movie equipment like clapboards and cameras are usually black or white. Gold is the clear winner here since most movies have set the gold standard on how art and skill can make a high quality film. Furthermore, quality movies get recognized by critics and win awards. Fill your movie-themed designs with gold shades, shapes, and images. You can also insert the golden Oscar statue as a finishing touch to your designs. Multipurpose. The templates seen above are not only designed for watching movies, but for other events as well such as birthdays and weddings. 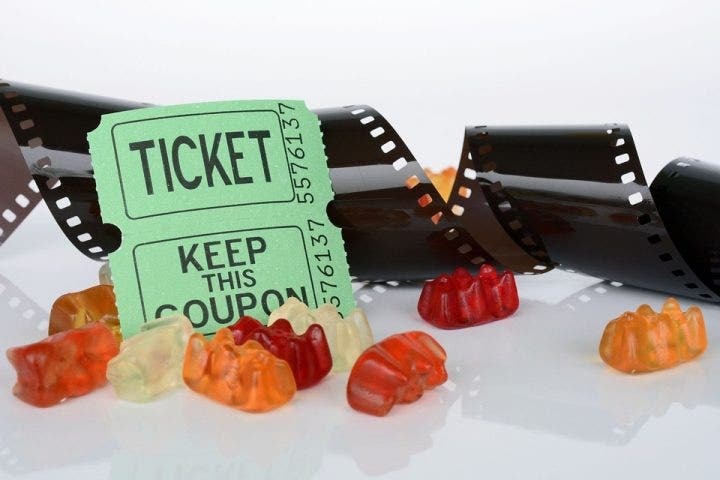 There are other types of occasions that can be used for movie ticket designs. 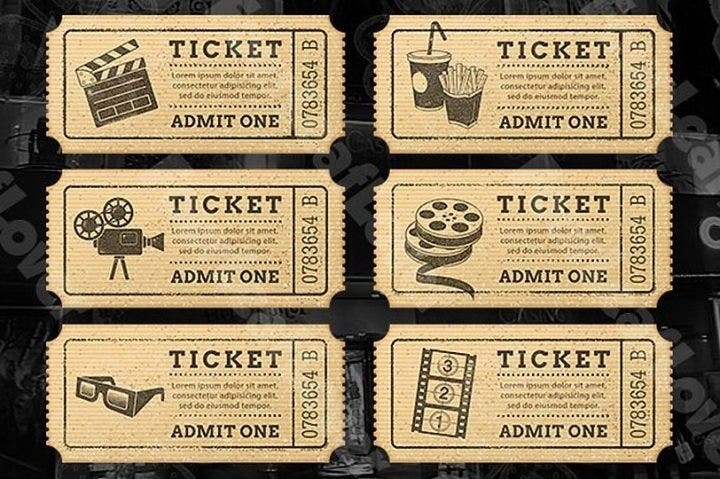 Attaching a movie theme in each occasion can pave the way for these movie ticket designs to be used. Also, for events like a toddler’s first birthday, the parents or relatives can film the child’s first experience of blowing a cake or receiving a gift. Art Deco. The Art Deco period, which began in the 1920s and lasted until the 1940s before the eruption of World War II, saw one of the greatest eras of art and literature. 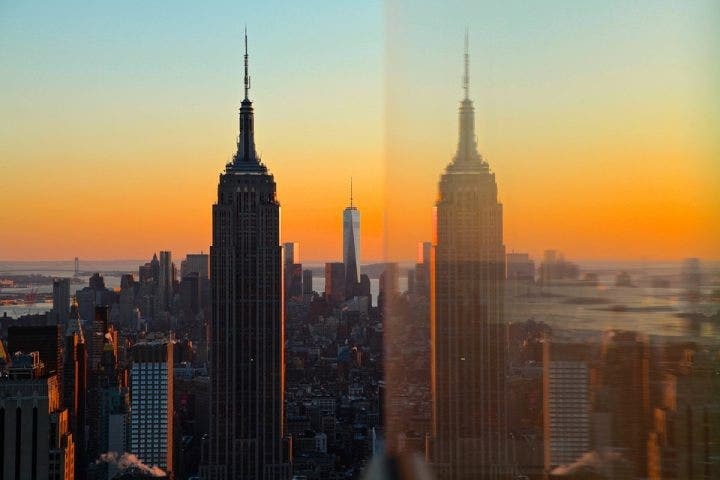 Art Deco influence reached to architecture and some of the world’s famous buildings were constructed based on that style. The period’s influence is still felt today in all forms of architecture and literature. 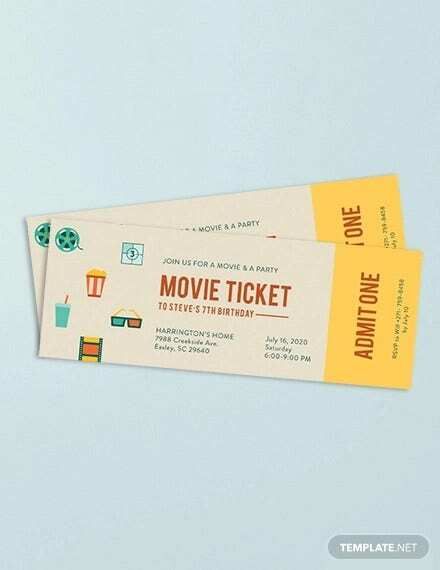 Characterized by streamlined and geometric shapes, sharp curves and intersecting symmetrical lines, this form of art can be used in movie tickets as well. The Great Gatsby film, including its official movie poster which was highly influenced by Art Deco, can be used as a concept when making Art Deco-influenced designs.